Trillian prompts me to authorize or deny the unknown. Trillian offers no option to see the requester's profile. Trillian offers no option to chat with the requester in order to find out who they are. Trillian does not display the requester's avatar image. 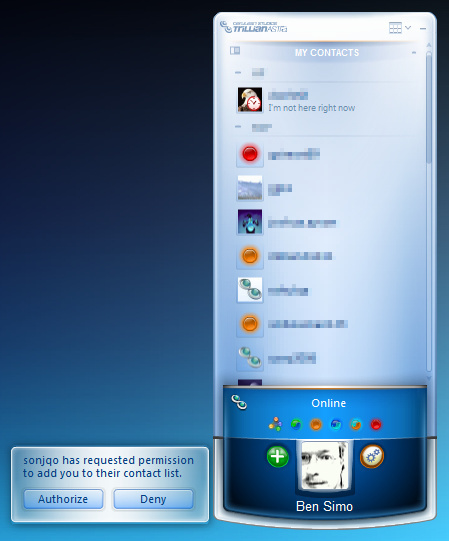 Trillian does not even show the instant messaging service from which the request comes. Why prompt software users with a decision if you are not going to provide the information necessary to make an informed decision?